This is a rectangular Munsing Wear porcelain sign. This particular Munsing Wear sign is black with white text. 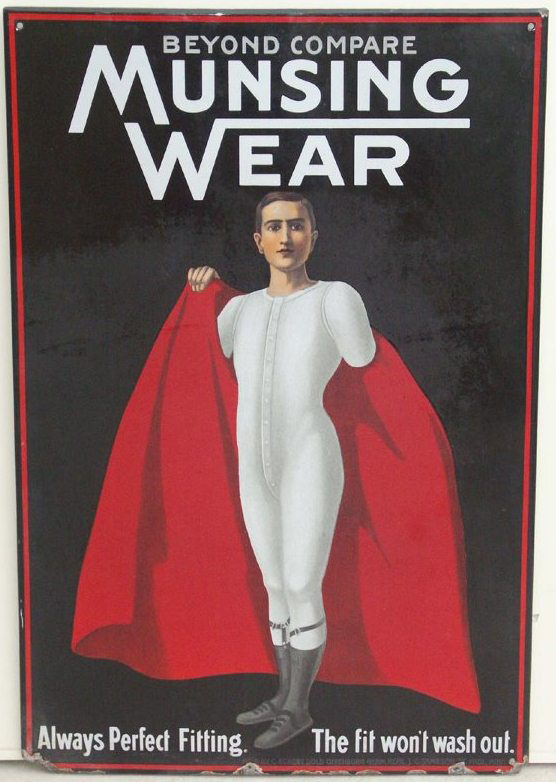 It reads, “Munsing Wear, Beyond Compare, Always Perfect Fitting, The Fit Won’t Wash Out” and features a man wearing undergarments putting on a red cloak.